One of the income streams bloggers tend to favor in recent years is affiliate marketing because it can drastically increase earnings! That being said, just adding a large number of affiliate links to the world’s favorite pin board will likely yield less sales than you’d think. It’s not about quantity with affiliate links on Pinterest. Quality sells. Raised by an attorney, you know I’ll never steer you wrong when it comes to disclosures. I have personally emailed the FTC to clarify terminology I should be using. NO. AFFILIATE. SALE. is good enough to risk being named in a lawsuit (with a company or individually, when they get around to that). affiliate – Are your eyebrows raised? They were for me. The FTC requires that the reader understands the compensated relationship. Regardless of what we bloggers believe, not everyone knows what “affiliate” entails. 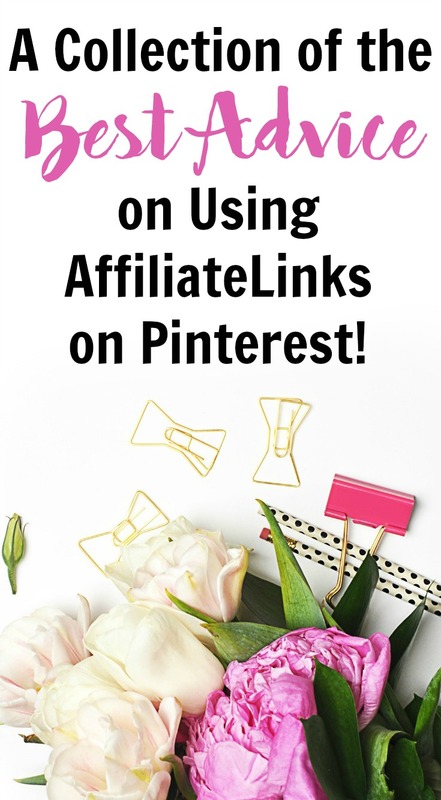 Ahem… I wrote an article on how to use affiliate links on Pinterest. It’s pretty good if I say so myself. 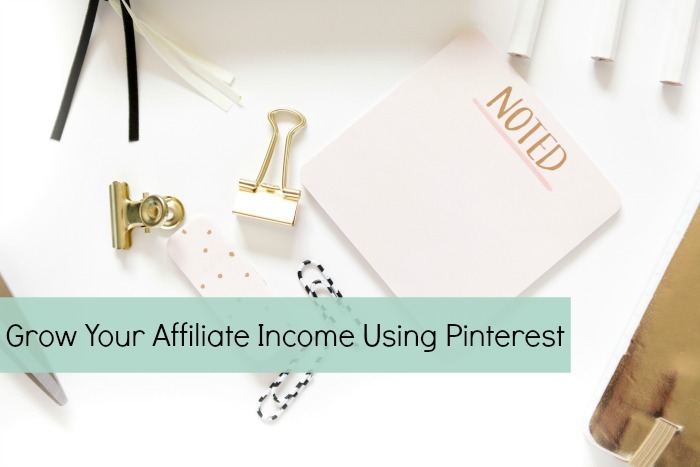 Read the full article if you missed it, set up your strategy, and start earning by using affiliate links on Pinterest! 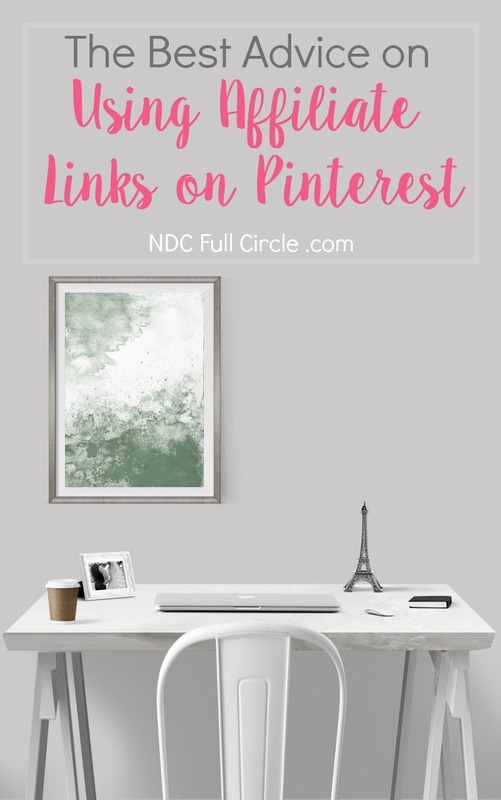 For Decor, DIY, and Craft Bloggers (from a Top Earner)! how to maximize shopping guides already on your blog! If you don’t know how to physically pin something you don’t source from a website, this article tells you. However, in my opinion, the better read is the strategy article the same author wrote for Social Media Examiner on affiliate use on Pinterest. In this second article, the author details using promoted pins to expose more pinners to your affiliate links. We can spend money to make money, right? 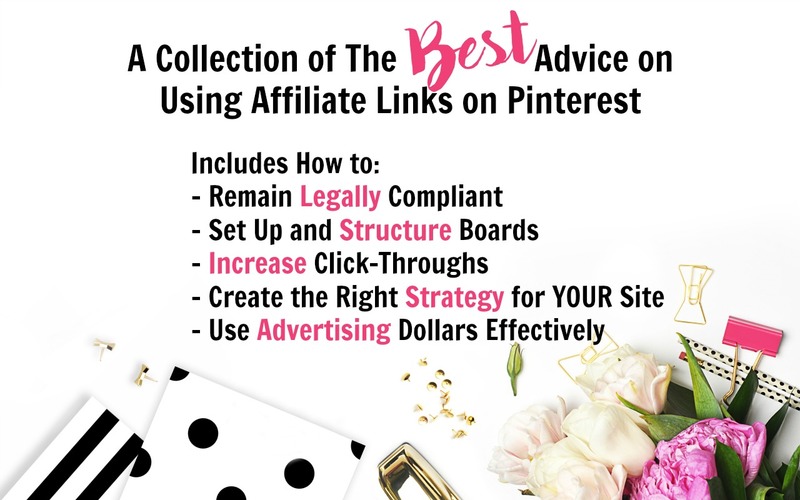 pin new affiliate links on Pinterest? use what you’ve got and change the URL for popular pins on Pinterest? mix it up and use both? I’ve still not yet implemented this strategy. Have you changed an existing pin’s URL to reflect an affiliate link? I’d love to hear any success stories (or the opposite) you have with this strategy! 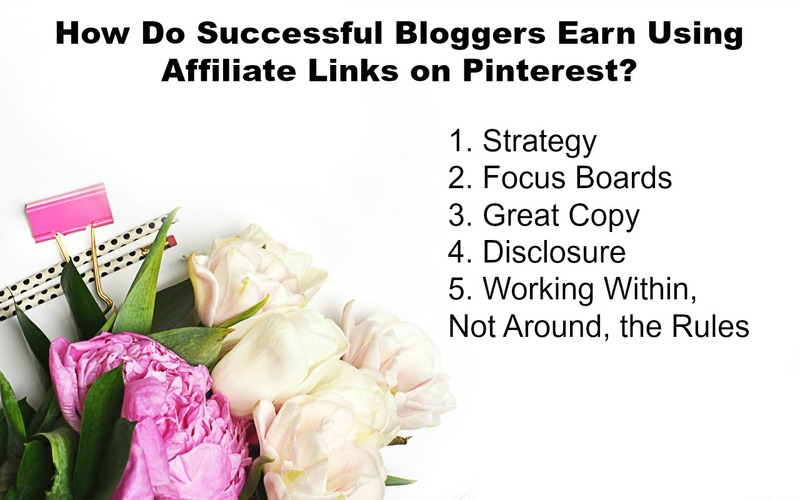 Using these articles, any blogger can create a strategy to begin successfully using affiliate links on Pinterest to increase their blogging income. After pinning this to your favorite Pinterest blogging board, what is your next step? What are you doing to sell affiliates on the big pin board in the sky? As always, great article. This blogging business is getting more and more complicated all the time.